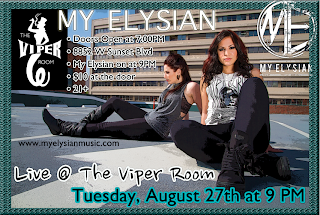 My Elysian: SHOWS, SHOWS, SHOWS! Tomorrow we are playing Orange County Pride on the main stage. 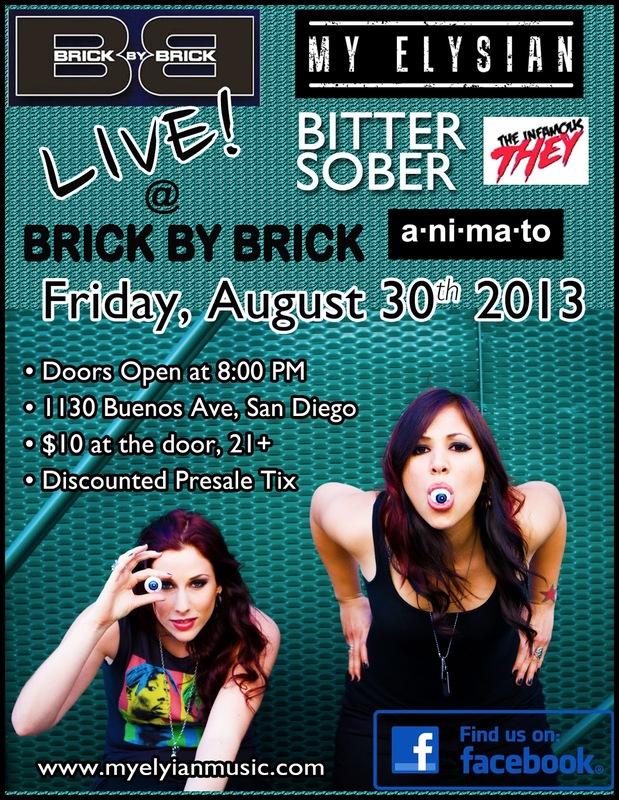 Then SAN DIEGO- we are coming for you! 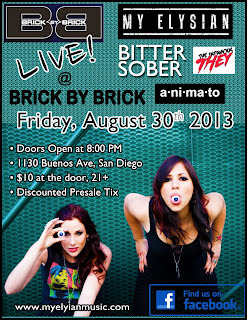 We are playing Brick By Brick on Friday, August 30th. 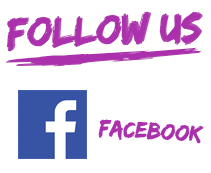 For the event info, check out our Facebook event! This is an incredibly exciting time for us, and we are overjoyed to be sharing it with all of you!